Nintendo’s Super Mario Maker arrives in North America on the 11th of September, allowing Wii U owners to craft their own crazy creations featuring the world’s most famous plumber. Until then, we have Photoshop. Come to think of it, after that we have Photoshop (or Gimp or Paint or PSP or whatever) as well. We don’t need a $60 game for the Wii U which arrives on the 11th of September in order to create completely insane places for Mario to Mario. Will they be playable? No. Will they be more entertaining despite that? Hopefully. 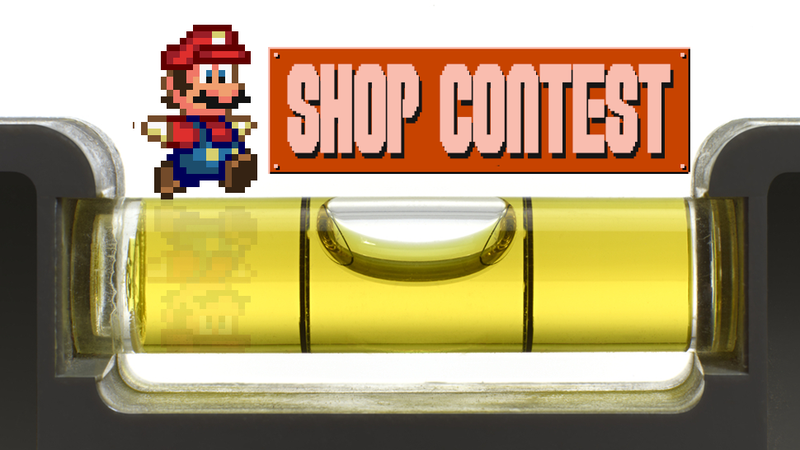 I mean, you’ve had nearly a month without the Shop Contest to store creative juices in your spine sacks. They must be ready to burst by now. So yeah, no need to wait until the 11th of September, which is how Nintendo’s been saying 9/11 in all of its official communications regarding the game for some completely fathomable reason. Just find some lovely Mario sprites online—The Spriters Resource is an excellent spriters resource—cut out the ones you like and past them wherever. Use a realistic background or build your own from scratch. You’ve got an entire week to get it done, so go crazy. Then join us back here next Saturday to wonder why I always seem to get behind in my work and delay the results until Sunday morning!